This Creamy Cauliflower Soup is just so easy. Rich and tasty and an easy option after a busy day at work or play. Boil cauliflower until soft. Drain cauliflower (put the drained excess water aside) and place in a blender with butter, cream, parmesan cheese, and garlic . Blend cauliflower etc until smooth. Add salt and pepper to taste. Thin the soup down with excess cauliflower water if you prefer a thinner soup. 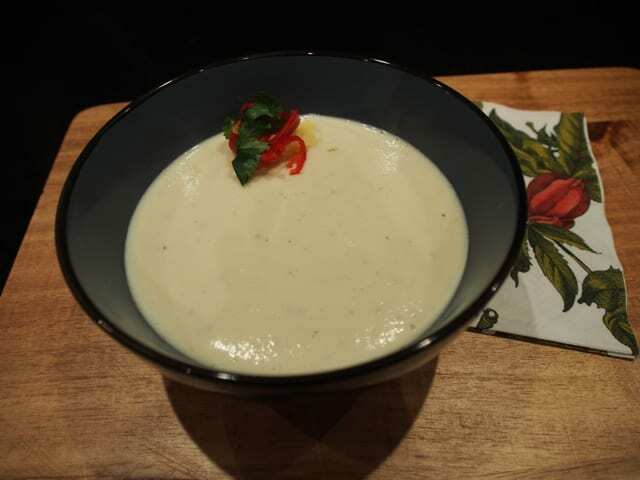 This Creamy Cauliflower Soup can be stored and served for tomorrow's lunch. Note that the carb count is based on 2 serves. If you choose to thin your soup with the excess cauliflower water, the recipe could easily stretch to 3 or 4 servings. 4 reasons you should focus on your health as you approach middle age.